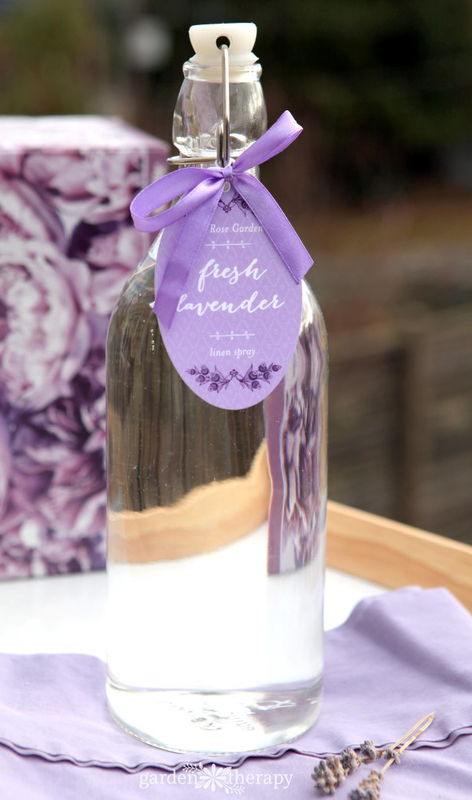 I love the Lavender Linen Water that I made for ironing so much that I have been using it on my pillows and sheets. And the baby’s crib. And the dog beds. I’m pretty much obsessed. I’ve added it to a spray bottle to make an easy lavender pillow spray that helps me fall to sleep at night. Lavender is widely known as one of the most popular scents used in aromatherapy to promote relaxation, and research has shown that it helps to treat insomnia and encourage slow-wave sleep, which is the deep sleep when our brains organize data and refuel for the next day. Spritz your way to a good night’s sleep by following the directions to making my Lavender Linen Water and pouring it into a spray bottle. I added this pretty tag from Evermine to label mine. 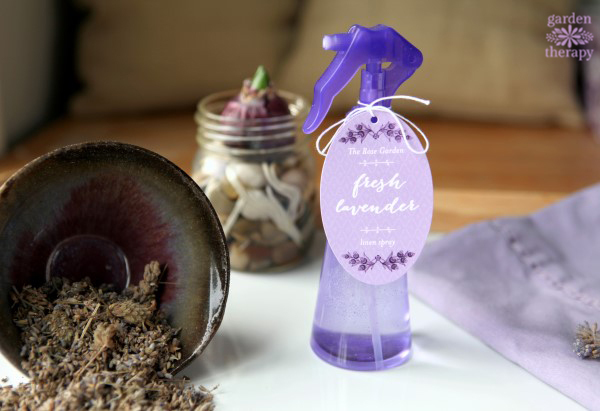 Simply spray onto your pillowcases and sheets and let the soothing scent of lavender lull you into a deep, peaceful slumber! 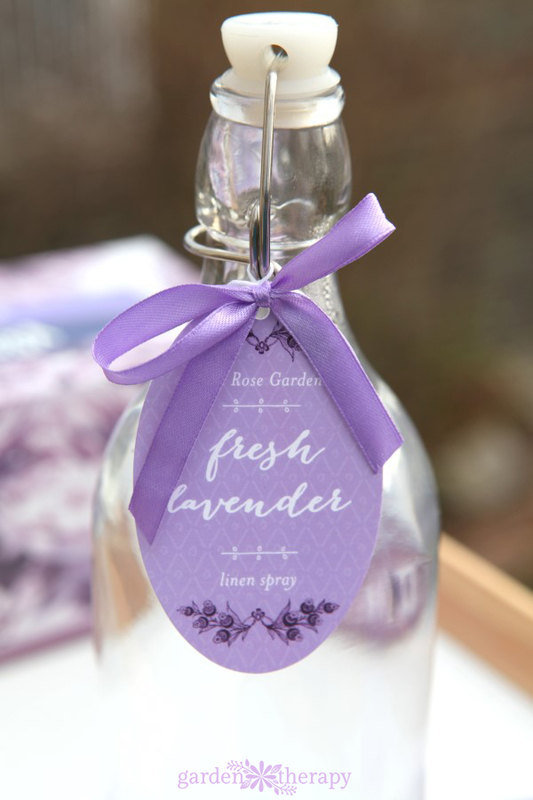 For more creative ways to use lavender, check out these projects. Can’t seem to locate the recipe?? Hi Barbara, the green text that reads Lavender Linen Water is a link to the recipe (http://gardentherapy.ca/lavender-linen-water/). Thanks! !